Why is ResetEra going all Thanos on the Pokémon series? Let them live, geez. They need to bloat the games more tbh. They could benefit so much from more variety in enemy teams and the ability to get any of my favorites without trading or having to own multiple games across different hardware. They can't stop until crocky is in the game. Isn’t GameFreak a relatively small staff? In 20 years they could easily afford a massive team to make all of these critters. But we have new species going extinct every year. Didn't some kind of snail just went extinct yesterday? So? There are rare pokemon, which you could consider "endangered" already, or even so rare that they were thought to be extinct. Nature is represented well, and will continue to be so by adding more and more Pokemon to represent the diversity of animal life. This is no reason to just stop adding Pokemon or start removing old pokemon. Every kind of pokemon is someone's best friend. I wouldnt mind if GameFreak took a break from designing new pokemon and went back and updated past ones like they did with Megas and Alolan forms. For me a big part of the appeal of the series is to explore new regions and finding all new monsters that roam in this new environment. I'm fine with them going beyond 1000, will probably be bummed if they somehow actually took a hard stance and stopped designing more. Capit at 151 (gen 1,obviously) and make the rest reskins and count them as an additional monster each a la MonHun. Storage will never be the problem. It's the amount of work involved . And games are more complicated graphically. Even at Nintendo's glacial pace of advancement that will become an issue too. The main compromise I feel for adding new pokemon is new forms. The alolan forms was a great idea, since it was a decent middleground between making all new pokemon and just showing how the same species would adapt to a new environment, like real animals do. I had a whole team of new mons in both games. Meanwhile, I saw a lot of old favorites. Look at the encounter rates of the new Pokemon in Gen 7 compared to the old ones. No one can say they are pushing the new ones with a straight face. I used all new monsters in SuMo. I'd lose interest if they did that. Hard pass. Not like it's an issue when no one region has all the available pokemon at once. They will if the game takes too long to make or becomes prohibitively expensive. Gen 8 is coming 3 years after Gen 7 which came 3 years after Gen 6 which came 3 years after Gen 5. You're suggesting a solution to a problem that doesn't even exist. And talking about money...new Pokemon are needed to continue driving new merchandise. Money is why there will continue being new Pokemon. They've already reduced the number of new Pokemon since Gen 5, and started focusing on improving old (mostly Gen 1) species. I really, really like regional forms. Alolan forms were a great idea, but then GameFreak added very few, and they were all Gen 1 for the sole reason of nostalgia. Expand the idea, and I would be very happy. Gen 6 and 7 made me appreciate Gen 5 soooo much more than I already did in regards to new Pokemon. Of course not. Pokemon generates a lot of money. Why would they chop of it's legs. And the more 'mons, the better. Variety and new stuff is ace. Exactly. Some pokemon right now are basically regional variants like Pidove is to pidgey. Because for some reason, its a problem that they cant keep up with them. The kids keep up just fine. Pokemon is one of the few franchises that should never have to worry about being too expensive. With how high mainline games always sell, plus merchandise, there's no danger of them ever running out of funding. Problem? Please, tell me how I have a problem with this when all the information is in front of your eyes. You can claim it is balance, but the data prove otherwise. I can't see it, how is gen four having 14 pokemon in SM consider balance, while gen one has 87. No thanks, maybe they can reduce the new batches though. They already have. Both Generations 6 and 7 were much smaller than usual. I personally probably would be and they seem to be shortening each gen so it takes longer to get there. Because a bunch of lapsed fans just came back for Let's Go and suddenly think they're an authority on all things Pokemon. If they do I hope they use a first in first out approach, get rid of the oldest ones first. I don't want that to happen no thank you, the more the better. 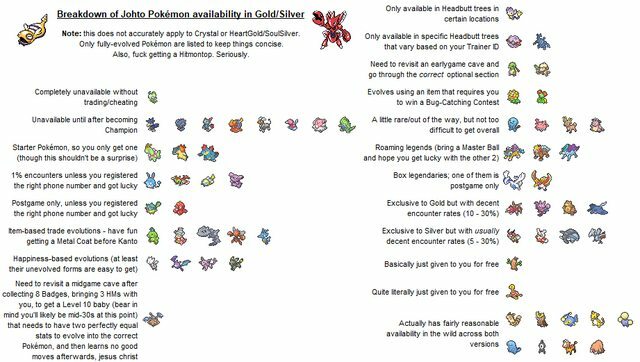 I'd be okay with them throwing everything out and starting from scratch, capping the existing Pokedex just seems silly. They either exist or they don't. Why. Magic the Gathering has over 10,000 different things. I don't care, I only use one Pokemon per game anyways. They should just kill em all and start over. New Pokémon is what keeps the franchise going. You need new monsters to sell new merch. 1000 is a lot but there's not a single game that contains all Pokémon. Ultra Sun/Ultra Moon have the most with around 400 obtainable. New Pokémon keep the franchise relevant and the games balance themselves around the volume of monsters.